Mechanical Madness sets high standards in workmanship and design. 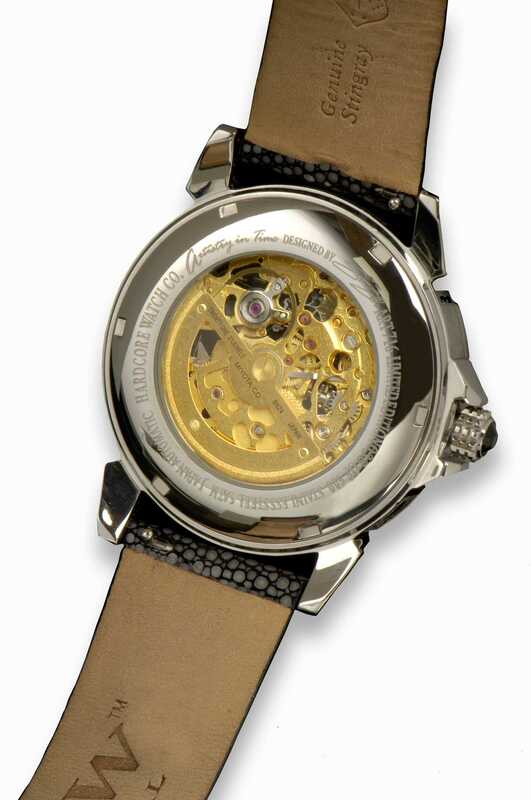 It was awarded best watch design in its class by JCK for 2008. 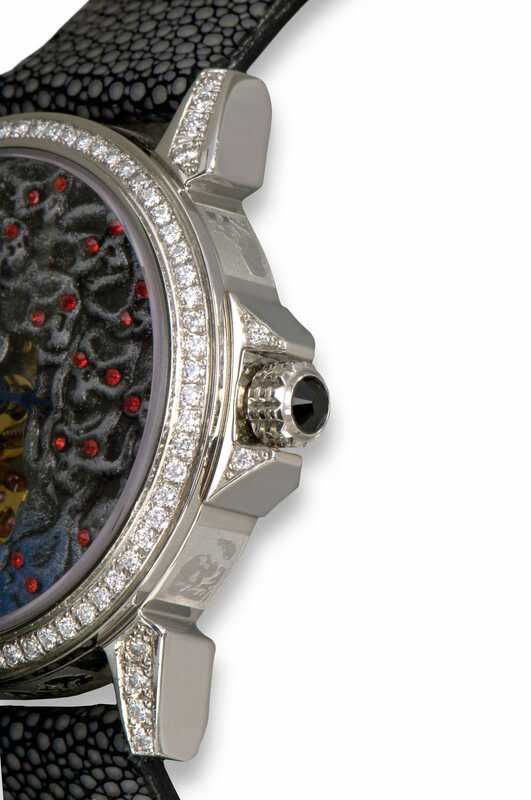 It has 2cts of brilliant white diamonds surrounding the bezel and on the lugs. 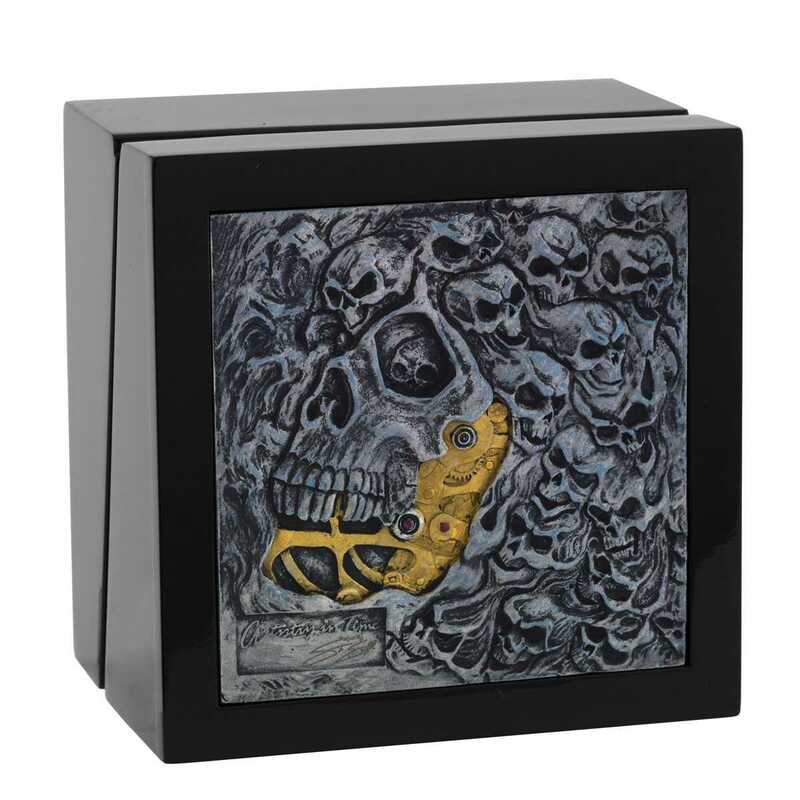 The circumference of the case is etched with small madness skulls for accent. The dial work is created in 4 dimensions and the jaw line is cut out for movement viewing. 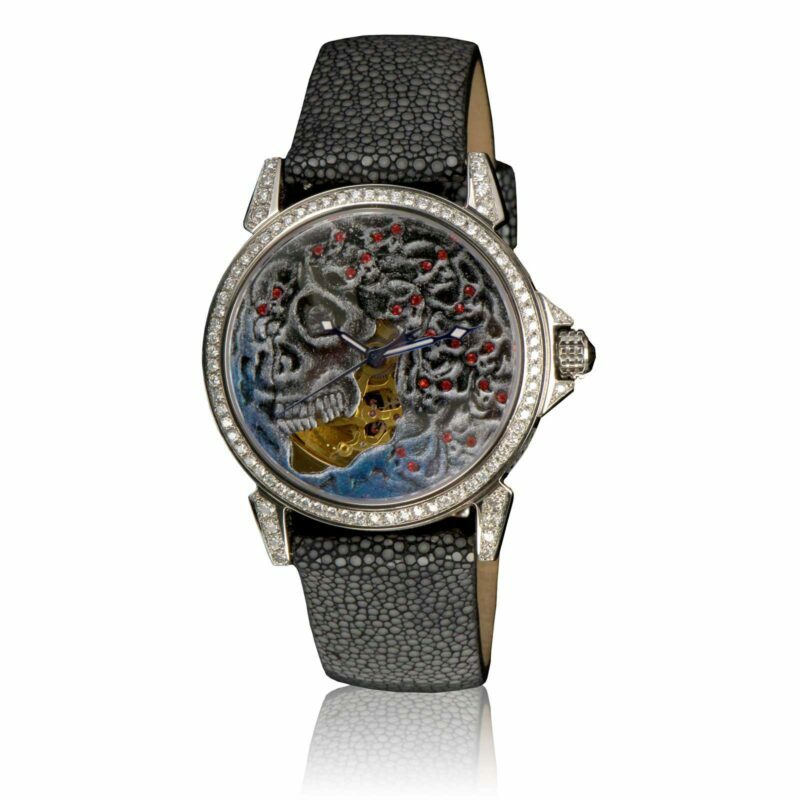 Each skull is hand set with authentic Swarovski crystals and the dial has strokes of pewter blue. 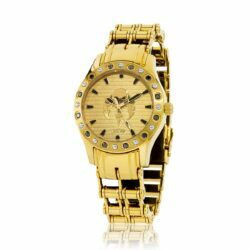 The bezel and lugs are offered in stunning white diamonds. 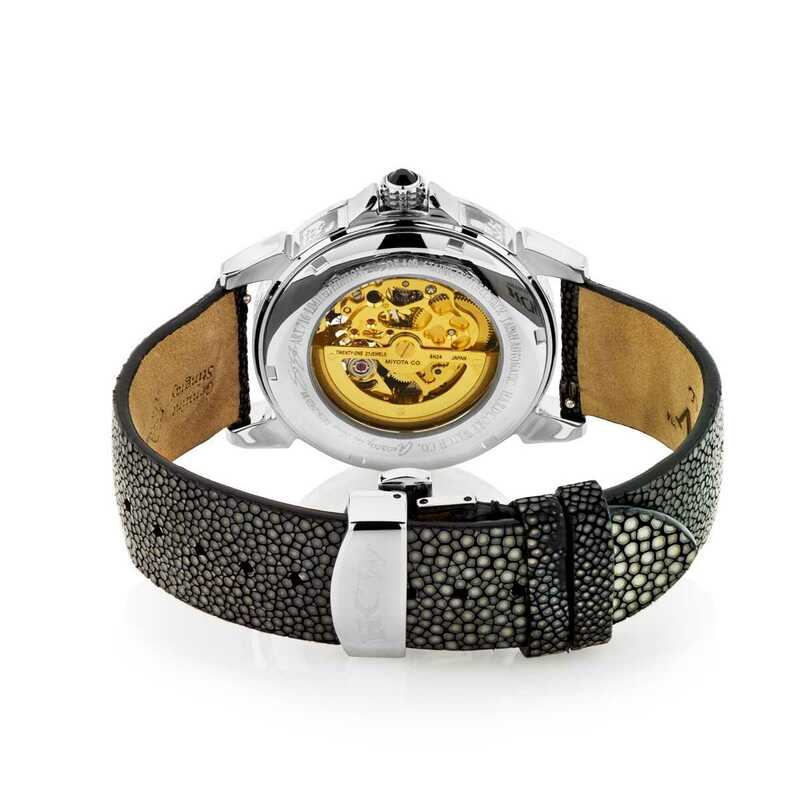 A black polished hand-made stingray strap accompanies each Mechanical Madness timepiece. It is fitted with a custom quick release mechanism. 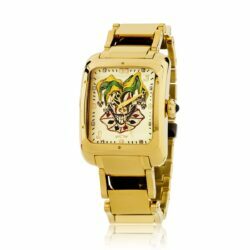 It houses a gold mechanical movement by Miyota with an exhibition case back. Only 500 editions are offered. 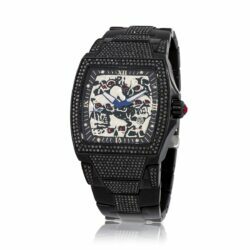 For the Diamond Collection edition, edition size is 100 world wide.